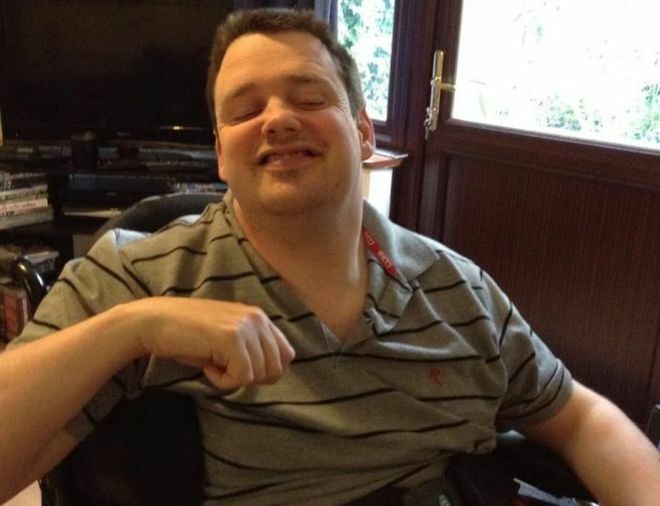 A severely disabled man is taking a legal battle over cuts to his care to the Court of Appeal. Luke Davey, 40, is challenging a ruling upholding Oxfordshire County Council’s decision to cut his package by 42%. Mr Davey, who has quadriplegic cerebral palsy, argues it threatens his well-being and breaches the Care Act. Campaigners said his fight will have implications for others in a similar position. The council said it would not comment while the case is ongoing. Mr Davey, who is registered blind and uses a wheelchair, requires help with all of his personal care needs. He was supported by a team of personal assistants for 23 years, relying on a care package costing £1,651 a week. The council proposed reducing this to £950 a week in June 2015 when the Independent Living Fund (ILF), which previously provided £730, was closed by the government. Mr Davey, from Burcot, Oxfordshire, said the reduction is both unreasonable and unlawful. “This is not about disabled people demanding golden cars,” said Svetlana Kotova, from disability charity, Inclusion London. It plans to argue that the High Court ruling made against Mr Davey in February conflicts with the principles embodied in the United Nations Convention on the Rights of Disabled People. The case begins later with a verdict expected within three months.